Basic Information: Material: Waterproof cloth bag dimensions: 11 inch x 7.8 inch Conversion: 1 inch = 2.54 cm Colors: grey Description: A large, cushioned storage bag suitable for smartphones, tablets, powerbanks, earphones, portable hard drives, USB data and power cables, and more. Convenient and lightweight, great for travel or tourism. 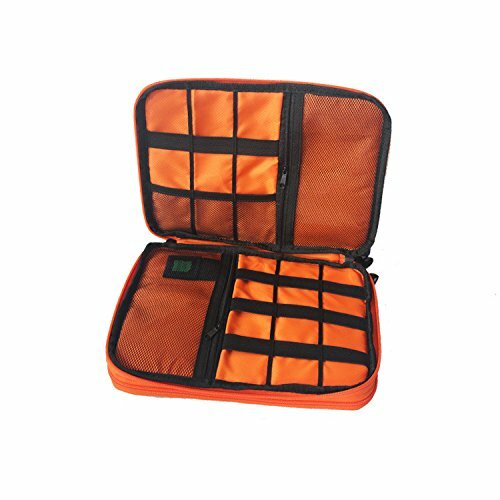 A large, cushioned storage bag suitable for smartphones, tablets, powerbanks, earphones, portable hard drives, USB data and power cables, and more. Convenient and lightweight, great for travel or tourism.